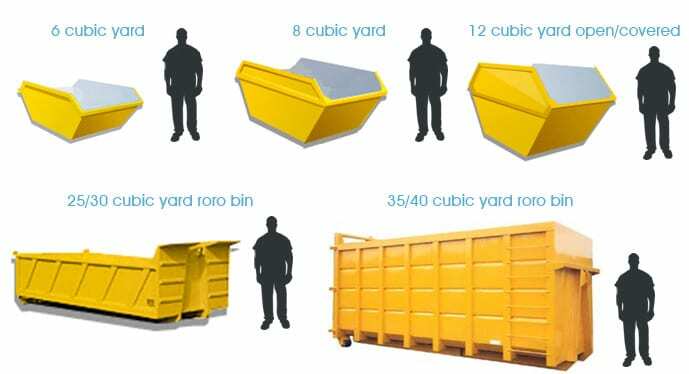 We have a range of skip sizes for different uses. Please see our sheet on skip sizes and suitable uses. All full skips must be loaded sensibly to ensure safe transportation. Larger skips (over 8 yards) must not contain heavy materials. If you need more advice on which skip would suit your needs, please call our sales team on 028 90 810000 who will be happy to answer any questions you have. Have a look at the sizes of skip we provide and then contact our office on 028 90 810000 to schedule a drop off date and time. 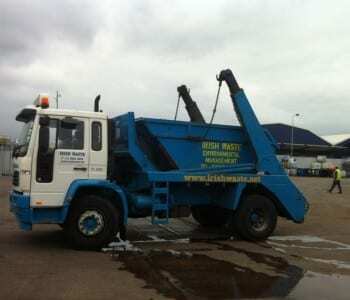 We normally deliver your skip via LGV skip lorries, which are usually large. Ideally, your drive needs to be a minimum of 2.75 metres wide for a normal skip truck. When skips are ordered we will enquire about the conditions of the location, so please advise us of any access issues. We will place your skip in the best position to suit your need. This could be on your driveway or on the road. You will need a permit to allow you to have the skip on the road. The council needs 3 days notice when applying for permits. You will also need the correct signage and lights. If you cannot place on private land, (remember the grass verge outside your house may not be owned by you!) PLEASE CALL US ON 028 90 810000 if you need assistance applying for a permit. Permits are required for skips that are placed on public land or the highway, by most local councils. We will advise you on whether you need a permit for your skip and in most cases we can assist you with this, although some local councils will require you to apply for the permit. The maximum duration of a permit is 14 days. Skips are for general waste (house/garage rubbish), garden waste and inert waste (soil, stone & gravel). Our standard skip hire lasts for 7 days. Although, we can alter this to fit your requirements. If you require a permit to allow your skip to be placed on public land, this can be arranged for a maximum of 14 days. The rental charge past the first 7 days is £10 per week. Skips can damage block paved and soft tarmac drives when skips are placed on them. Heavy duty skips, which use stabilising equipment, could also cause damage to softer driveways. While we will take every care possible to avoid damaging your drive, please note that once we vacate the highway, you automatically agree to indemnify us for any damage that occurs whilst on your property. Please let us know if you need the skip for an extended time. We hold many skips so we can be fairly flexible if this situation arises. If you require an extension on a permit, the skip may need to be removed during the process. Irish Waste Services Limited operates a state of the art recycling facility. Waste is tipped via skip vehicles / council vehicles / walking floors and dustbin lorries at the materials recycling facilities. The waste is then processed through the various processing stages to extract the different materials within the waste. The segregated materials are then recycled. We also produce refuse derived fuel which is used as a coal replacement fuel in power stations and industry power processes. We are aiming 100% recycling / recovery – zero landfill.